Hydroponics is a growing topic. Everyone is clear what we are talking about when we mention greenhouse growing, yet when we hear hydroponics our mind automatically shifts. Could it be a limited understanding about the technology and uses for this particular growing method? Learning about the technology, science, systems, and benefits behind hydroponics will help us expand our dialog on the topic. The type of hydroponic growing we talk about may shake up what you thought you knew about hydroponic crops. 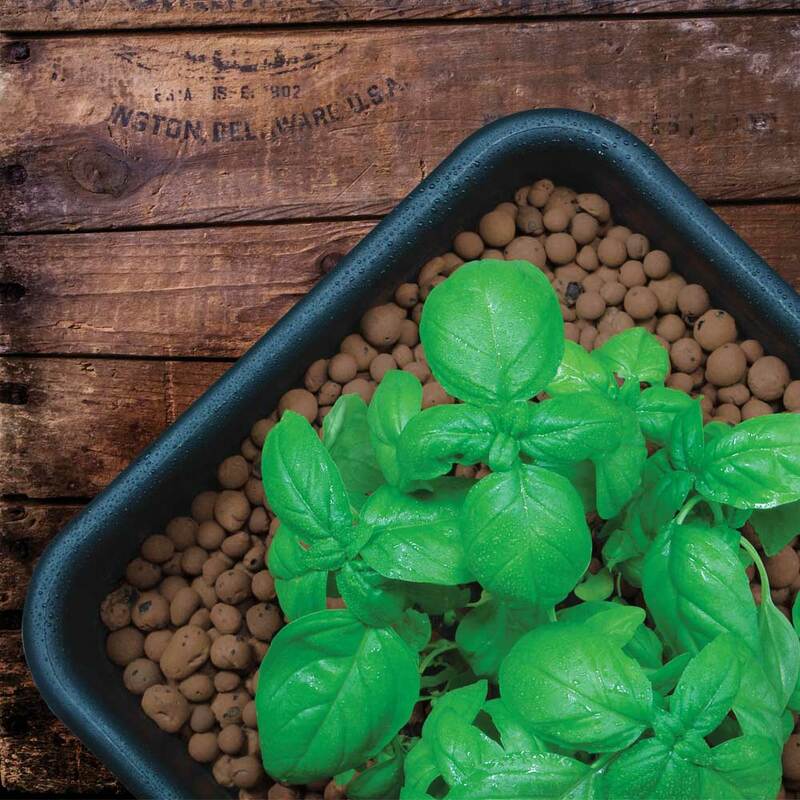 What is the first thing that you think when you hear Hydroponics? Well we are hear to tell you that it happens to be one of the easiest indoor gardening methods used to grow your own food! 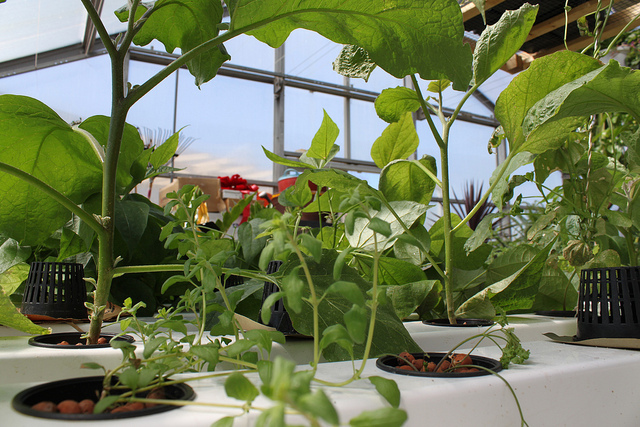 Hydroponics is the process of growing plants in water with added nutrients but without soil, soilless growing. It is an addition and alternative to our current food growing methods. It’s a closed-loop food production system in a controlled environment and grows without soil, also known as soilless growing. It gives us the power to grow food in small window farms, in our back yards, or to start a profitable commercial sized businesses. Even those with limited knowledge and budgets can grow using hydroponics, because hydroponic growing methods are scalable in size and cost. Basil grown using a hydroponic growing method. Clay Pebbles. Today there seems to be more barriers in growing our food. Climate, soil contamination, limited space in urban areas, and a hot topic and most importantly – water. Lack of any of these leads to food insecurity and food deserts. Using hydroponic growing technology eliminates most of these barriers and provides ample produce for healthy communities. In turn this gives us control of our food, saving energy, money and the environment in the process. The supply chain includes: planting; harvesting; processing; packaging; transportation; and grocery store processing. Our current methods of growing and getting food to the grocery store shelves is not sustainable and carries ethical concerns for human health. If you’re concerned about your food security, healthy, and local food choices, one of the several types of hydroponic growing may be worth looking at for your personal use, community use, or a business. Strategically growing food comes with its challenges. We have 7 Billion people on the planet to feed, and hydroponic technology enables us to feed them all. There are many advantages hydroponics has over traditional agriculture (we believe it is important to use traditional and hydroponic methods for growing food) and some only hydroponics can address. Water – Some regions are experiencing drought and others water contamination. Hydroponics recycles water and uses very little. Energy – Systems can be set up fully automated and set for high-efficiency. The result – using less resources. Mobility – Your food can be grown locally and less labor intensive. Environment – With shorter distribution distances we reduce our carbon footprint. Closed-loop cycles that recycles water and nutrients with minimal or zero waste. Space/Scale – Home-sized units and commercial options are scalable – literally you can have a system as small or large as you can handle. Systems are scalable and fit any space. One that we believe will be your favorite is the CropBox: they’ve provided a leasing option that allows farmers to rent the CropBox instead of having to invest upwards of $50,000 into a greenhouse operation. Low capital investment needed to get started! Using Hydroponic technology enable growers to grow bigger yields and healthier crops with little to no waste. These monitoring systems in your growing space ensures all growing elements are on target and reduces lost crops. This is done through smart technology, the use of big data, and mobile apps. 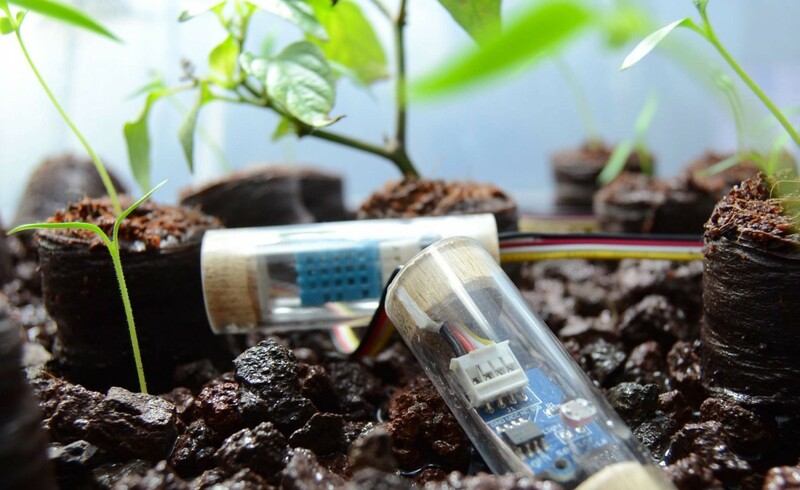 Smart technology – controlled environment agriculture has developed smart technology that monitors light, heat, water, and humidity that all contribute to a system that grows efficiently. Big data – growers can share information and learn to produce maximum yields through sharing what works and what doesn’t work with other growers. Mobile apps – control your system 24hrs a day from anywhere! Some hydroponic methods can be more complicated while others are basic growing techniques. Courses and certification on how to use hydroponic grow methods to grow food are becoming widely available. (Okay not so widely but before long there will be one cropping up in your area). The best place to start is your local University. 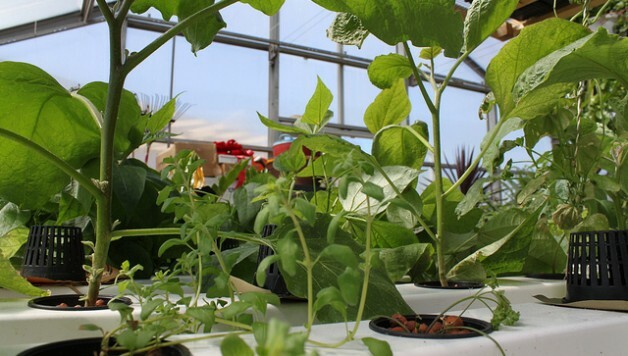 Many Colleges and Universities are studying, and researching hydroponic grow methods. For more information on hydroponic growing and technology use the search bar in the header of this site. With 150+ articles and new articles published weekly, there is a lot of information you don’t want to miss!